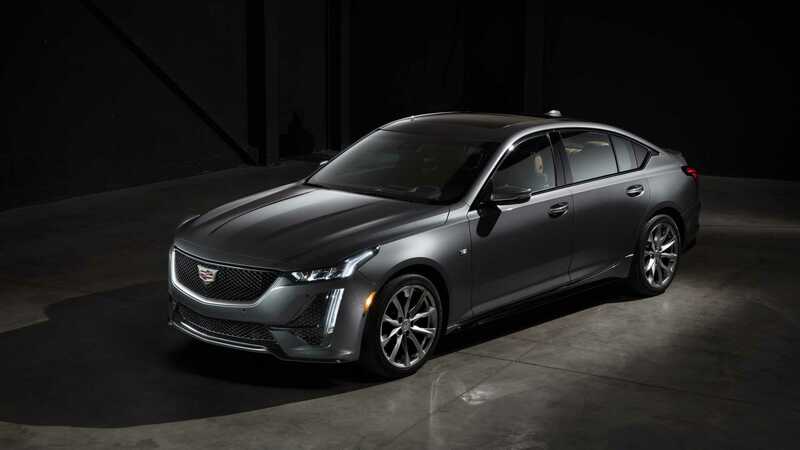 Car manufacturer Cadillac has unveiled its new CT5 sedan/saloon scheduled for international premiere on April 16, 2019. We may now have a look at the design and preliminary technical specifications of the vehicle that the company says will eventually replace three other models currently on the market: the ATS, CTS, and XTS. The car comes based on an improved version of the Alpha chassis. Based on the photos, we would say the Cadillac CT5 mostly follows the same design guidelines as the XT6 and CT6-V. It also borrows certain stylistic features from the 2016 Escala Concept, such as the general body outlines, the narrow-slit headlights, and the vertically stacked lighting. Customers will be given a choice between FWD and AWD versions, as well as between a 2.0-liter turbo V4 and a 3.0-liter twin-turbo V6 equipped with a valve-controlled exhaust system. All versions will ship with the same 10-speed automatic transmission. Inside, the Cadillac CT5 will feature active noise cancelling and house a high-end Bose sound system with Performance satellite speakers. The manufacturer claims it has optimized the interior layout for the best audio experience possible. All owners of the new car will also get access to a unique song database.